This journal is indexed by 'Scholar Article Impact Factor' on the 16 July 2017. To nurture a platform of leaned and erudite people motivated by the quest for academic research and creative writing. To developing critical and cognitive faculties and interdisciplinary approach in academic and research areas. To create a learning ambience and show diverse scopes to develop analytical abilities. To facilitate cutting edge research in the sphere of English language and literature. To create and maintain highest level of qualitative and original material ensuring zero tolerance of plagiarized material in manuscript. To encourage creativity and innovation and make landmark contributions for globe through our excellent publishing services. To enable our authors — empowered with ignited minds and hearts — to realize their potentials and self worth so that they may evolve as published authors and transforming agents to make a significant contribution to the spheres of publication. To emerge as a leading international journal — a path-breaker global brand both at nationally and globally in the realm of publishing. To accelerate the dissemination of knowledge through the publication of high quality research articles using the open access model. To hone and refine the research and creative writing skills of the learned scholars whose endeavours are to spread their knowledge though their innovative ideas and create a coherent and consistent world for our betterment. The scopes of the journal are not limited to any specific fields of literature. It tries to encompass different genres in English literature i.e. novels, plays, poetry, biographies, autobiographies, memoirs, travelogues etc. Works translated from other languages into English are also given place in the journal. 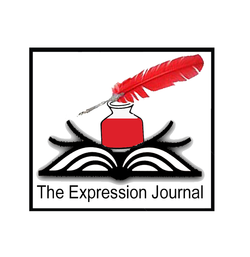 The journal also ensures publication of original qualitative poems, essays, short-stories, book-reviews and monologues etc. These are some topics but the journal does not circumscribe to these cited topics only. It encompasses a wide range of ideas on different topics. Utmost trust, mutual cooperation, team work, academic fraternity, dissemination of knowledge, skills and resources to publish your manuscripts at international parameters. To appreciate, regard and promote the perspectives, rights and dignity of each contributor. To maintain privacy of every individual and establish a good rapport with our contributors.